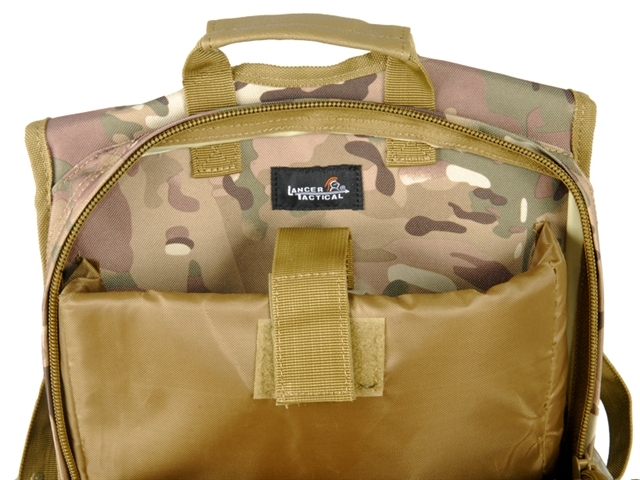 Bring your essentials whether its survival gear or a laptop carrying "sensitive" information, pack it into the Lancer Tactical MOLLE Laptop Bag in Multi-Camo. Can hold your 15.6" sized laptops or electronic devices in its dedicated and protective sleeve with confidence as you run and gun on the field. 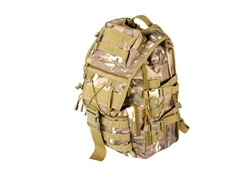 Still ideal as a tactical backpack you'll find ample storage for all your other tactical or survival essentials in all of its pouches and compartments. The main compartment itself features a space of 16" x 11" x 5." The shoulder straps are padded for comfort and include a sternum strap for added support. MOLLE webbing panels line the front face so you can attach any additional accessories to expand and customize your load out. Additional compartments can be found throughout the bag accessible via zipper enclosures and even a Velcro panel to display your favorite morale patches. 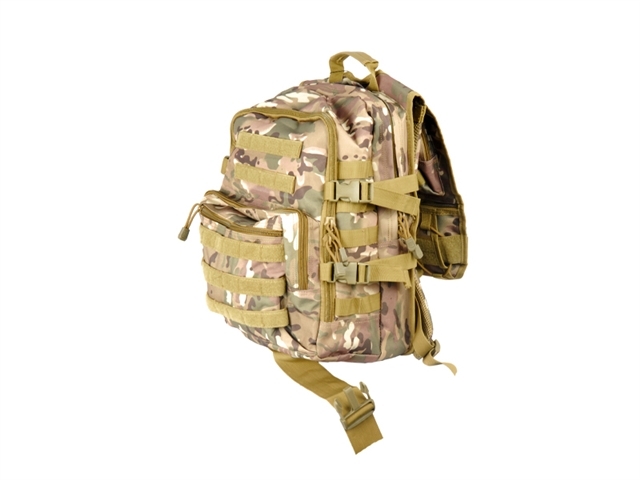 Put together with tough 600 Denier Polyester materials you can expect the Lancer Tactical MOLLE Laptop Backpack to be a rugged and dependable piece of equipment for all your missions.